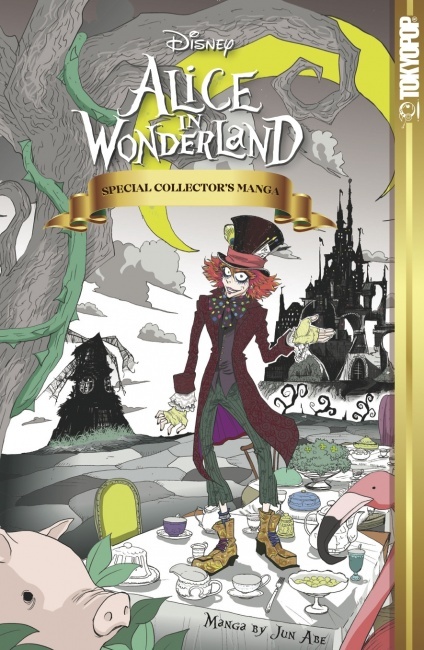 This summer, trailblazing American manga publisher Tokyopop is publishing its first titles since the company closed its doors in 2011 (see “Tokyopop Closing”) starting with the Alice in Wonderland: Special Collector’s Manga, a full color 2-in-1 hardcover, a manga retelling of the 2010 Tim Burton Alice in Wonderland film that will street on May 25, two days before Burton’s new live-action Alice Through the Looking Glass film. 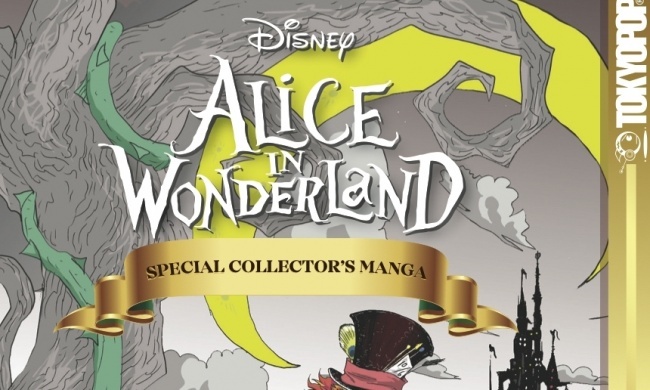 The limited hardcover edition, which will have a cover price of $19.99, also includes bonus art pages from manga-ka Jun Abe, who created the manga adaptation of Burton’s first Alice live-action film. 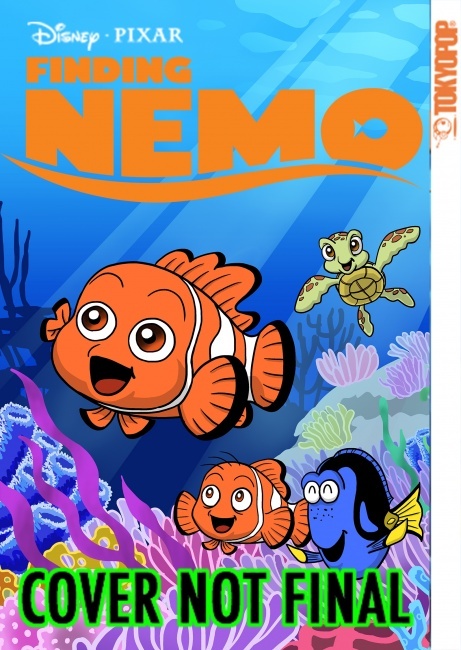 Next comes the Finding Nemo: Special Collector’s Manga, which includes Ryuichi Hoshino’s manga adaptation of the Pixar classic plus exclusive bonus features that include manga illustrations, Pixar sketches, and an original piece by Japanese artist Uruma Delvi. Like the Alice in Wonderland volume, the Finding Nemo manga, which has a cover price of $15.99, will be published in a deluxe hardcover format. The Finding Nemo volume will be released on June 8, a little more than a week before Pixar’s Finding Nemo sequel, Finding Dory, opens nationwide. The third new Tokyopop release of the summer, which is slated for early July in time for Anime Expo, harkens back to Tokyopop’s past. 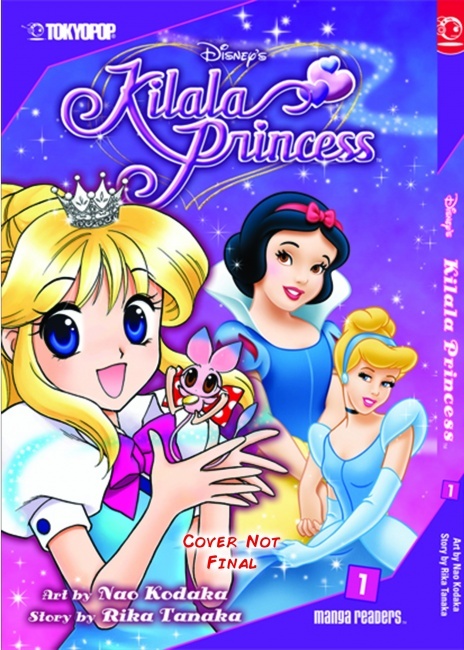 Back in the day Tokyopop released the first two volumes of Kilala Princess, a 5-volume shojo manga series featuring various Disney princesses as “manga minis,” but starting in July Tokyopop will be releasing all five volumes in the Kilala Princess series as complete paperback editions with a cover price of $10.99 each. The series, which combines the visual brio of shojo manga with the magic of Disney princesses, should have a broad appeal to young female readers.